Super Halloween Exchange - Get Everything You Want! 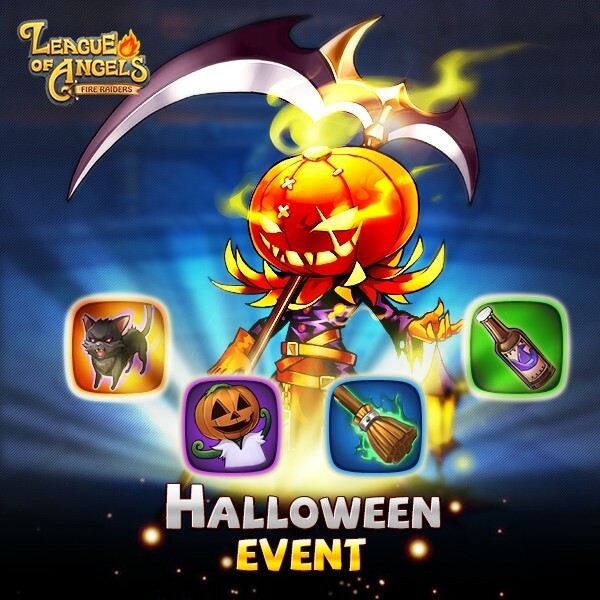 The latest League of Angels-Fire Raiders Halloween event is here! Get all that you desire with our special Halloween exchange program! Every day until Oct. 28, you can collect Halloween-themed items to exchange for all kinds of amazing resources in the game! Now is the perfect time to upgrade your League and finish your collections! Black Cat (Legendary): Can be exchanged for advanced Hero Soulstones and Mysterious Soulstones, advanced Angel Soulstones, and also exchanged for “Spectral Mouse”. Spectral Mouse (Epic): Can be exchanged for basic Hero and Angel Soulstones, Mysterious Soulstone Coupons, Boost Gem or Angel Gem upgrade materials, and also exchanged for “Pumpkin Doll”. Pumpkin Doll (Epic): Can be exchanged for all kinds of advanced Hero Awakening materials, advanced Emblem materials, and also exchanged for “Spectral Mouse” or “Magic Broom”. Magic Broom (Rare): Can be exchanged for all kinds of basic Hero Awakening materials and Emblem materials. Witch's Brew (Uncommon): Can be exchanged for large amounts of Crest, Astral, Relic, Nexus and Rune materials, as well as Gold and EXP. Act now! Don’t miss this once-in-a-year chance to grab everything you want in the game! Please have a great Halloween this year and enjoy the new events in League of Angels-Fire Raiders! Play now for free and experience the best strategy RPG game on mobile!